Dragon Door: How did you get started in fitness and athletics? Rekha Ayalur: I was on the high school track team and ran during my high school career. I ended up going to Virginia Tech and ran a little bit my freshman year—but realized I wanted to be closer to home. I transferred to University of Maryland my sophomore year where I ran through my senior year. After graduation, I tried to mimic our training in college, but was essentially doing just mindless stuff in the gym. One day at the Washington Sports Club near my house, I saw two trainers using something bell shaped. I thought it looked cool and interesting, so I watched them work with it. Afterwards, I asked one of the trainers if they would be teaching classes with it, and she told me that they were working on creating a group class soon. So, I joined their group class. At the time, I didn’t know anything about RKC or kettlebell certifications, but later I found out that both of these trainers were RKC certified. I’d ended up learning about kettlebells from the very beginning from two RKC instructors! As soon as I touched a kettlebell, I fell in love with it. I loved the workouts and how athletic they made me feel. When the trainers ended up moving to a different club, I followed them until it was too much of a commute. So, I started training with Darius Gilbert who was nearby. His training style and programming was very different because he trained a lot of younger athletes. When he took me on for one-on-one training, we worked in an athletic development style which I took to very quickly. It reminded me of my athletic college years. After he realized I'd been coached by RKC instructors that he actually trained, I started coaching with him and taking on my own clients. I started using kettlebells in 2009, then earned my RKC in 2014. I was pretty proficient by the time I first took the certification workshop, but it was a challenge for me and I really wanted to get certified. I am still working with Darius at Dynamic Sports Performance where we train a bunch of athletes who are playing many sports including basketball, tennis, baseball, and lacrosse. These athletes are in a wide age range—the youngest is around 8-10 years old and my oldest client is 65. We recently started holding seminars with Dr. Craig Liebenson who teaches the Prague School to Athletic Development. After we started working with him and hosting his seminars, we became good friends with a lot of PTs and chiropractors in the area and all over the United States. Some have even flown from Canada to attend Craig’s seminars. Darius and I started doing rehab specialty work with these practitioners to teach them how to use kettlebells at their clinics. Many were accustomed to the old school methods of manipulation, band resistance work, and the idea that they shouldn’t load people with very much weight. We are working to change that thinking and let them feel how kettlebell training could change their patients as well as non-injured people. Once they pick up a kettlebell and feel how they could load the patterns of kettlebell training with correct form, they would be able to turn on muscles that couldn’t be accessed with resistance band exercises. Darius and I started holding kettlebells for rehab specialists seminars where we taught them how to use kettlebells. From those seminars, many of the rehab specialists have taken the HKC, and some of them are even training for their RKC certification now. Dragon Door: Congratulations on your recent promotion to RKC Team Leader! Do you have any particular goals for your new leadership position? Rekha Ayalur: Since the announcement, my wheels have been turning a lot. I’m hoping to lead a couple of HKCs in the near future. I know that Darius and I are announcing one sometime soon that we're going to host. And we’re hosting an RKC in April. I'll definitely be a part of that. Darius and I actually had a conversation last week, and I pitched that we could create a specialized version of the HKC for rehab practitioners—with an incentive to sign up for their RKC after they pass. I'm excited to figure out what else I can do for myself and Dragon Door. Dragon Door: Before I forget, in an earlier discussion, you mentioned you have a master’s degree. Did you study a fitness or exercise science related topic in school? Rekha Ayalur: I was a dietetics-nutrition major, but I didn't really do anything with it after I graduated. Once I graduated, like every other 20-something, I had no clue what I wanted to do in life. I actually worked in a lab for several years doing cervical cancer research, before moving into drug regulation. My master’s is actually in drug and medical device policy. I was doing that for several years. I still do some consulting work now for health care companies. Dragon Door: What also inspired you to pursue fitness as a career as well? Rekha Ayalur: Once I started using kettlebells, became really passionate about it. I saw what it would do for people—it's very different than barbell lifting. I love the athletic component of kettlebell training. Kids at Dynamic Sports Performance were using kettlebells and seeing their times on the track completely change. They were getting faster and stronger. On the flip side, kettlebells were allowing my older clients to move well and stay independent while keeping them from getting injured. I was also really enjoying kettlebells—and hating my 9-5 job! So, while I haven’t completely made the transition (because I do still do consulting work), a lot of my time is spent at the gym now. Dragon Door: Are you training mostly individuals or leading group classes? Rekha Ayalur: It’s a mix of both. I have adult groups, kids’ groups and then I work with young athletes, collegiate athletes, and 50 year old men that I train individually. It’s a good mix that keeps me on my toes—they all have different needs and abilities. Dragon Door: What do you think are some of the biggest challenges that some of your young athletes are facing? Rekha Ayalur: I think one of the biggest ones is how to navigate between what their coach is telling them to do and what we have them doing at the gym. Many collegiate and high school coaches don't really know what they're doing when it comes to the weight room and are stuck on the idea that every kid has to max out on a bench press and on the squat rack to be strong enough to play a sport. We've taught the kids who train with us that they don’t need to max out on the bench press. Unless they’re an offensive lineman and need to push someone off themselves, then what's the point? And if a young athlete can’t even hold a plank for 30 seconds, then they don’t need a bar with 200lbs on their back for squats. And while our kids understand this, the hard part comes when their coach requires them to do this as part of a team workout. Unfortunately the kids have to navigate that decision. Usually, coaches don’t want to hear from a 15 year old kid that they don’t know what they're doing. Then, some of the coaches think kettlebells are dangerous because of so many crappy YouTube videos. Dragon Door: How are you helping the kids navigate these issues? Rekha Ayalur: Many of them have spoken up or had their parents speak up about the team workouts—and that they’re going to train at DSP instead. The coaches have been a little more receptive to that. We have had a few coaches and athletic directors come into the gym to see what we do and how we train our athletes. Once they set foot in our gym, they see how impactful what we’re doing is to their kids. Dragon Door: What kind of results have these young athletes been getting with kettlebell training at DSP? Rekha Ayalur: Most of them start with zero strength. Kids these days are weaker than ever—they’re just not outside playing outside, swinging, from monkey bars or gaining any kind of strength. At first they have weak cores and score pretty poorly on their FMS, but it doesn’t take very long for them to improve. 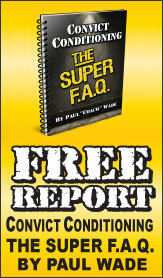 The immediate change is that they get stronger and most of them are seeing decreased times with their sprints. Many of the baseball players have overuse injuries like rotator cuff injuries, shoulder injuries, elbow injuries—pretty much everything from pitching too much with a lack of core strength and shoulder mobility. Now, almost none of our athletes are ever injured unless they do something ridiculous outside of the gym like falling off of something. We're keeping them from getting injured and they're able to play longer and be stronger in their sports. We have a lot of data on our baseball players, because we do a lot of pitching and hitting instruction as well. We've taken kids from 75mph pitching to 95mph in a relatively short time with strength training and teaching them to be explosive. They learn to use their hips correctly—they come to us usually using their backs to move. Teaching them how to swing a kettlebell, how to fire their glutes are what most of them, and most athletes need. Golfers, tennis players, pretty much everyone needs hip extension to generate power and force. Teaching them how to do that correctly makes them better at their sport. Dragon Door: What are you working on your own training? Rekha Ayalur: After I started with these young athletes, my fitness goal has become to be able to keep up with them. I also love showing girls that you don’t have to be bulky and look like you lift a ton of weights to be strong and athletic. So, I need to keep myself up athletically as well. I also have to demonstrate and teach all the movements. Staying agile and athletic is my goal. Dragon Door: It sounds like kettlebells have been a very good fit for your training! 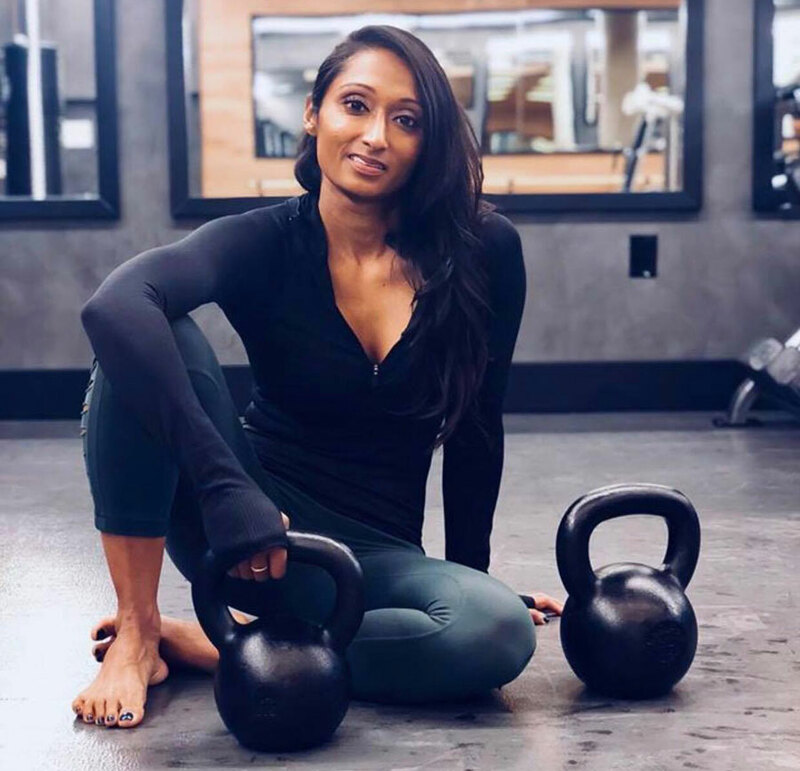 Rekha Ayalur: I almost feel like a cult leader when people ask me about kettlebells! I wish that everyone could feel what kettlebells can do for them. I just believe in it so much that I know this tool can help everyone. The list of improvements I’ve experienced myself and what I've seen with my clients is endless. Kettlebells make you leaner, more athletic, and injury free for the most part unless you're doing something completely wrong with it. Kettlebells transform the glutes and posterior chain which most people neglect in their training. I don’t think I can say the same thing about any other tool out there. I'm completely sold on kettlebells, especially from what they’ve done for me. I've leaned out completely since I started using kettlebells—even compared to when I was running track in school. I feel good, and I move really well. I can't remember the last time I had a real injury. I also feel like I’m at the point where I don’t feel like I need to go to a PT anymore, I know how to rehab myself with a kettlebell! Rekha Ayalur, RKC Team Leader leads classes and trains individuals at Dynamic Sports Performance in Alexandria, VA. She can be contacted at ayalurr@gmail.com. Follow her on Instagram @rekha_ayalur and Facebook: Rekha Ayalur.